Co-create your own suite with one of ICEHOTEL’s designers. From February 1st, the hotel, based 200 km north of the Arctic Circle, will offer bespoke suites tailor-made to suit the wishes and tastes of individual clients. Like a haute couture of travel experiences, creating an experience which is totally unique and personal is in focus. The suite should express the individual style and taste of the client, and will be made exclusively by order. 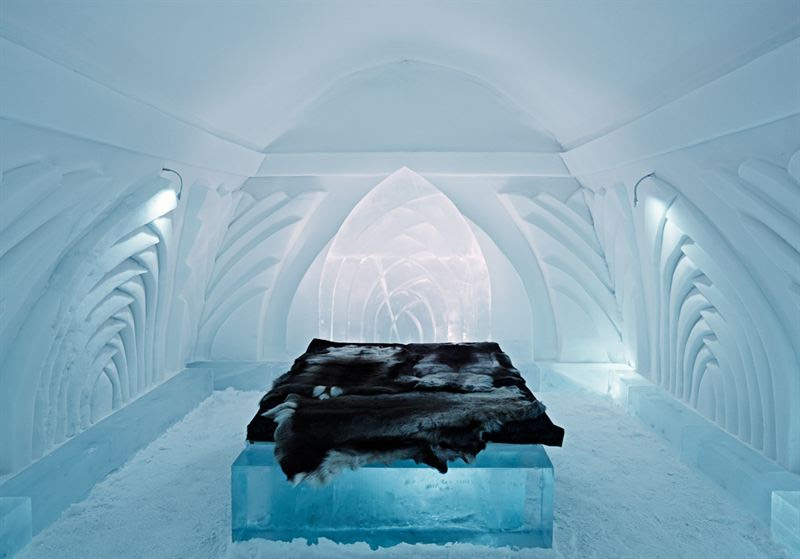 But achieving that unique edge to travel isn’t the only ambition with this new experience – ICEHOTEL creators are hoping to get the client involved in the design process and bring guests even closer to the ice and the ephemeral art. - We want to create a forum in which guests can express their own design ideas and experiment with ice as an art material. 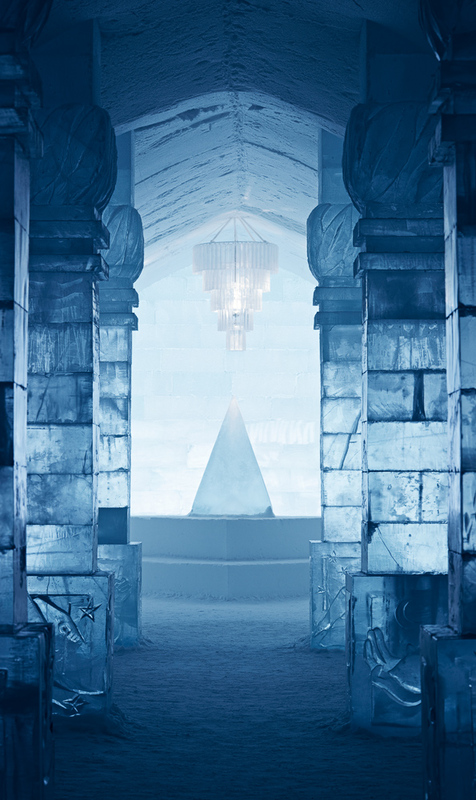 The beauty of ice is that it only exists briefly and then goes away, it unleashes an incredible creativity in people, says Arne Bergh, Creative Director of ICEHOTEL. He adds that it also makes for the perfect gift for a special occasion or someone since it can be so personal. The suites, like ICEHOTEL itself, are made of the exclusive natural ice from the river Torne and all the art work inside is original and handmade. Torne is one of the last untouched rivers of Europe and is completely free of pollutants, giving it a premium quality and such clarity that the one meter thick blocks which are harvested from the river are completely transparent and without air bubbles. Bergh adds that idea kind of brings to mind fashion haute couture, whereby items of clothing are synonymous with pieces of art and each bespoke item is made to order with great attention to craftsmanship and material. Each suite will be made exclusively for the client and after departure; it will be left to return to the river as the springtime sun returns. Once it is gone, clients will be given a bottle containing some of the meltwater, along with the sketches and blueprints for the design, and photographs of the suite. The price tag is SEK1 485 000 (US$ 231 000), making it one of the most expensive hotel rooms in the world. According to CNN, the most expensive hotel rooms in the world come in at around US$65 000. Part of the proceeds will be donated to environmental initiatives in the Baltic Sea, where the river Torne runs into the ocean. In addition, the package includes a face-to-face consultation in the home town of the client, as well as a complimentary stay at ICEHOTEL and chance to participate in the creation of the suite which can take up to two weeks. ICEHOTEL is an annual art project and the world’s first and largest hotel made of ice and snow located in Jukkasjärvi in northern Sweden,200 km north of the Arctic Circle. ICEHOTEL rises in a new shape every winter and then melts away in the spring. ICEHOTEL is a pioneer in ice art and in 2014 it has been 25 years since they built the world’s first hotel made of ice and snow. One of the core objectives at ICEHOTEL since the start has been experimenting and developing experiences and art with natural materials – mainlywith ice and snow, but also with magnetite and wood.